The Lightweight Directory Access Protocol (LDAP) is an application protocol for accessing and maintaining distributed directory information services over an Internet Protocol network. LDAP user authentication validates a username/password combination against a directory server such as Active Directory or OpenLDAP. 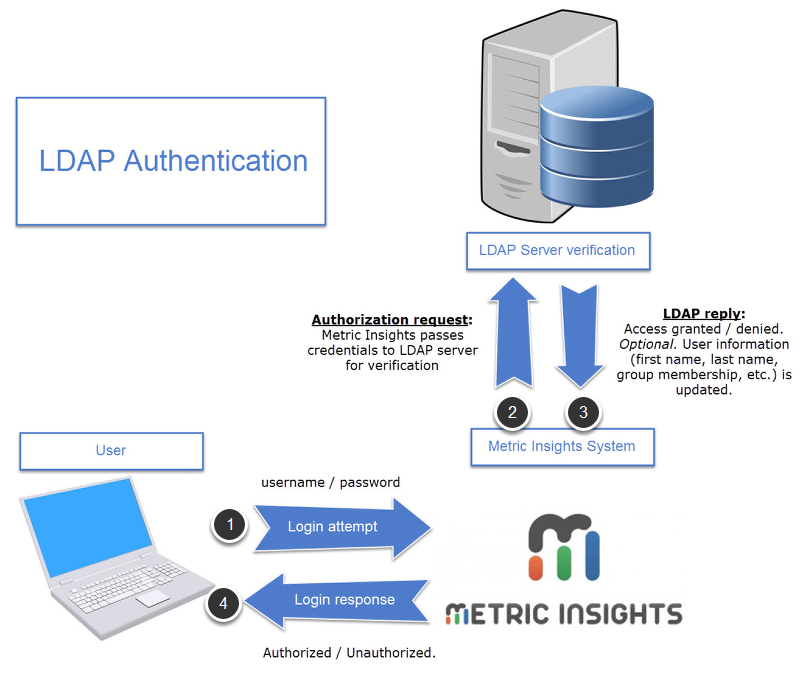 With the Metric Insights LDAP integration, you can automatically create Metric Insights users based upon the existing user and group information in your LDAP server. Although this requires a bit of upfront configuration, it greatly simplifies installations with hundreds or thousands of users. LDAP verifies that the user is authorized. In case this user profile has not been previously created in Metric Insights, it is automatically created based on the LDAP user data (first name, last name, group membership, etc.). 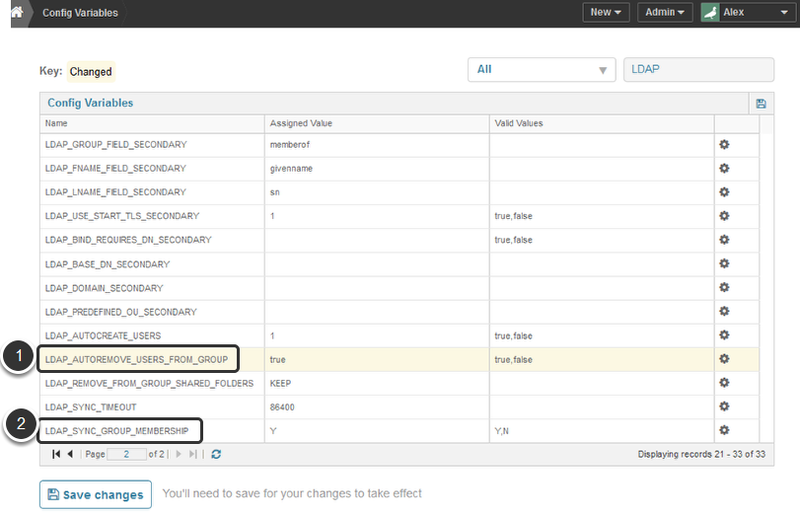 If any user information has been changed on LDAP server since previous login, it is automatically updated in Metric Insights. 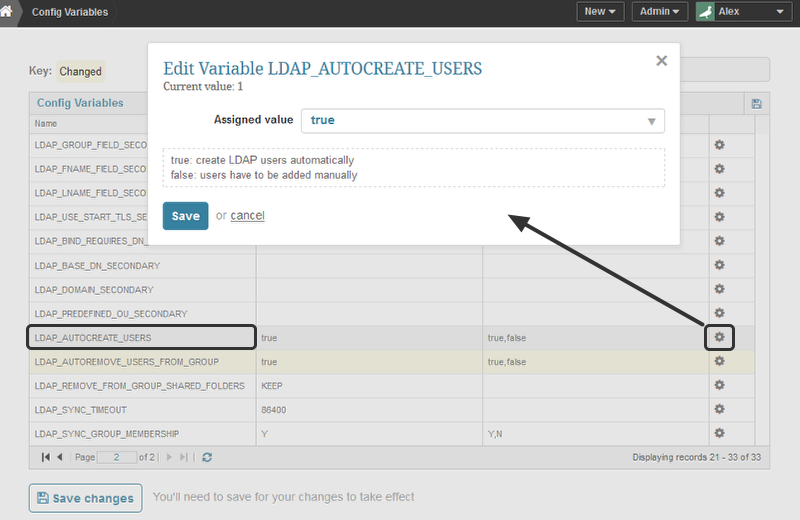 Example: Metric Insight's"Finance" Group is mapped to LDAP organizational unit "finance_group". New user is a member of LDAP organization unit "finance_group", so Metric Insights assigns user to Metric Insights "Finance" Group. If appropriate, Metric Insights will assign the user to multiple Groups. NOTE: The Metric Insights API can be used to do this work. It is not necessary to do it manually in the Metric Insights User and Group Editors. An Admin can set an optional configuration parameter that will prevent new user accounts from being created automatically. This permits LDAP/Active Directory integration while giving Administrators direct control over the creation of new user accounts.